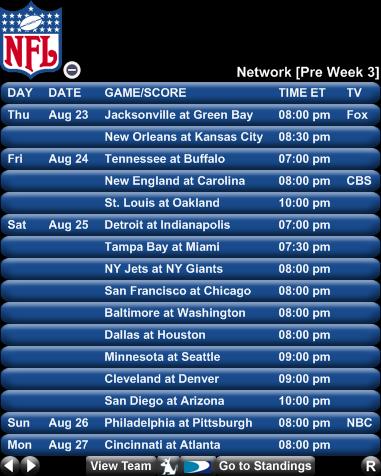 The NFL Schedule is out! You can get it here. Which game to you want to see most? Which one do you want to go to most? I want to see Raiders vs Dolphins and Raiders vs Tampa Bay! This entry was posted on April 17, 2008 at 10:09 am and is filed under NFL Update.You can follow any responses to this entry through the RSS 2.0 feed.You can leave a response, or trackback from your own site.